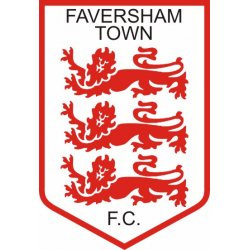 Faversham Town boss Ray Turner, after seven years in charge at Salters Lane which included three playoff campaigns and two final defeats, has announced that he is to leave the club. He advised the team and the board following defeat to Sittingbourne on Saturday. "I would just like to say that after nearly 15 years at the club I have decided the time is right to step aside as first team manager of this wonderful football club. My decision was a considered one and taken, I believe, in the best interests of the club. It was time to inject some fresh ideas into the players. My honest opinion was that I was no longer getting the best from these players, and you the supporters deserve better." “Everyone connected to this club, whether as a player, official or supporter, has an immense amount to thank Ray for and will join me in wishing him the very best for his future. “Ray has been a huge part of this club’s success and progression for many years. He has worked tirelessly to help shape this club into what it is, and he will always be a huge part of it. Read the club statement here. FA Trophy- First Qualifying Round Draw- and preview  Our Premier Division clubs enter for the first time- but who do they meet? Here's a preview of what we have to look forward to.